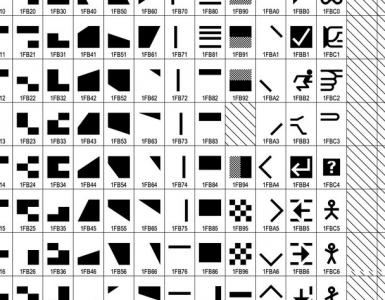 Update 4/12/18 – ARD Text have now distributed their entire print run of these postcards! We’ll let you know if and when more become available. ARD Text have announced two new postcards for the 2018 Christmas period. 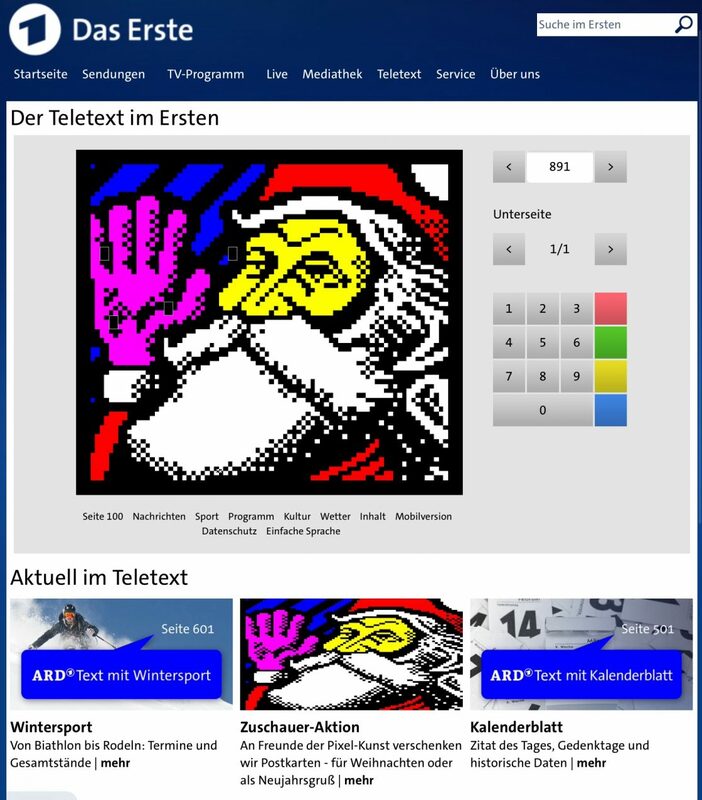 Following the success of last year’s festive feline design, our good teletext art friends in Germany are offering a Christmas postcard featuring jolly old Father Christmas and a new year’s postcard featuring a lucky pig. The Father Christmas design is courtesy multimedia artist Dan Farrimond (that’s me, yo), and you may remember it from ARD Text’s 2016 Advent calendar, which was rebroadcast on the service in December 2017. 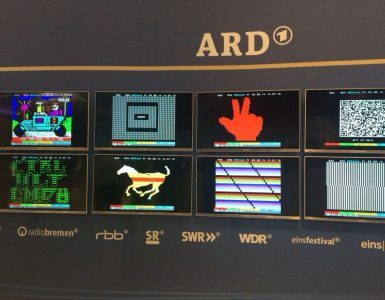 The new and exclusive never-before-seen pig postcard is courtesy ARD Text themselves. You can get your postcards by contacting info@ard-text.de (maximum of 4 per person). 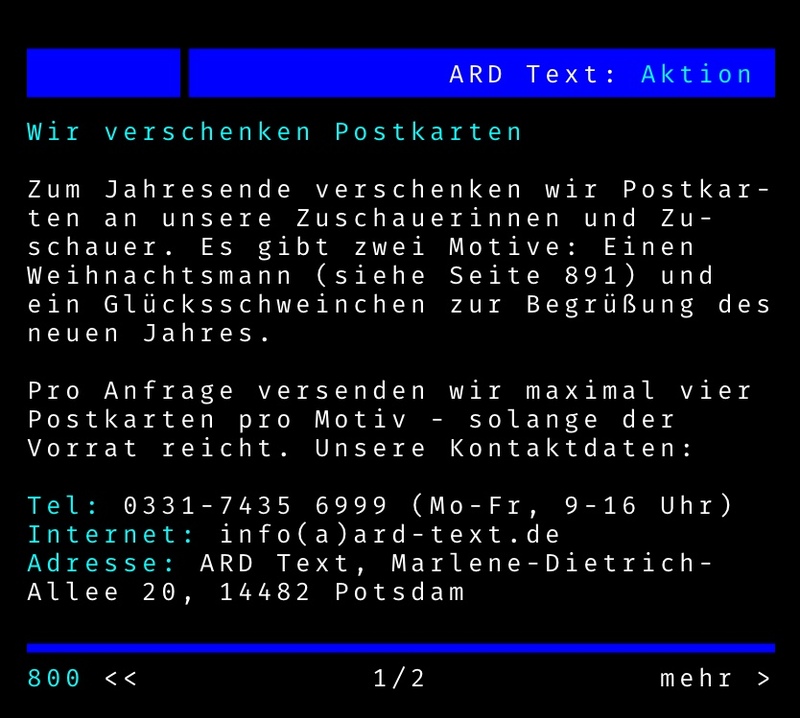 You can also phone or write to ARD Text to request them – see this page on ARD Text or below for contact details. At the end of the year, we are giving away postcards to our viewers. There are two designs: one Santa Claus (see page 891) and a lucky pig to welcome the new year. 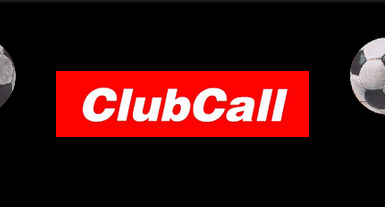 We can send a maximum of four postcards per request.